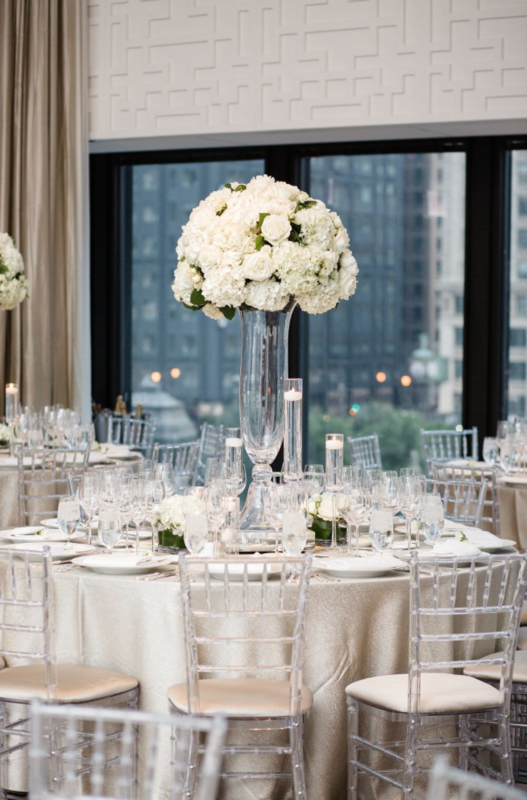 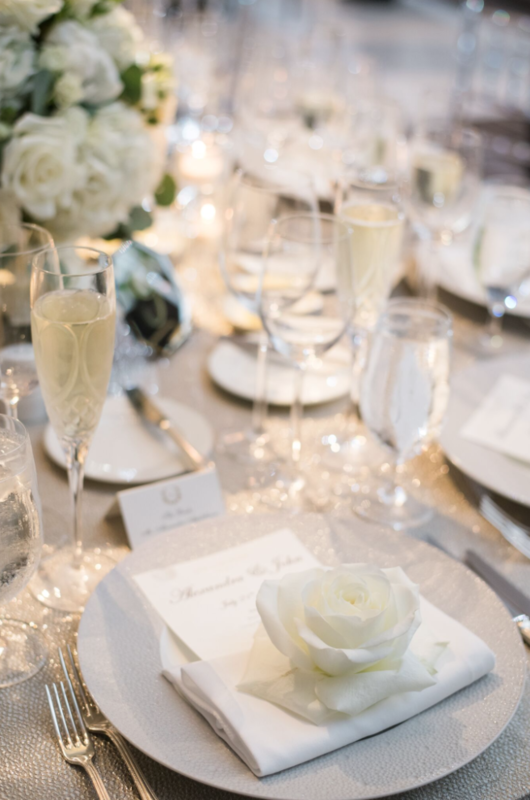 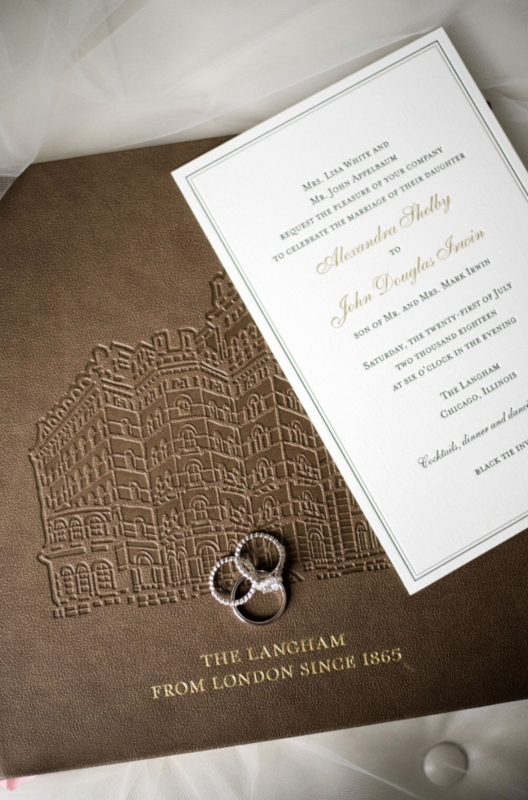 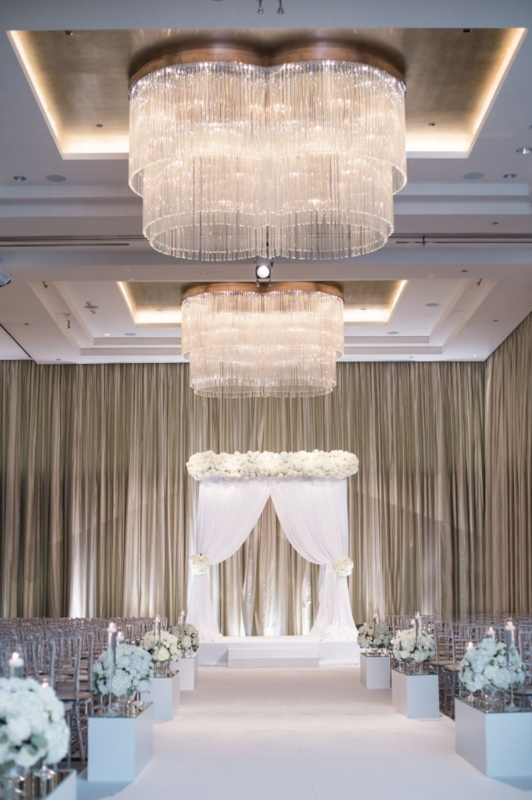 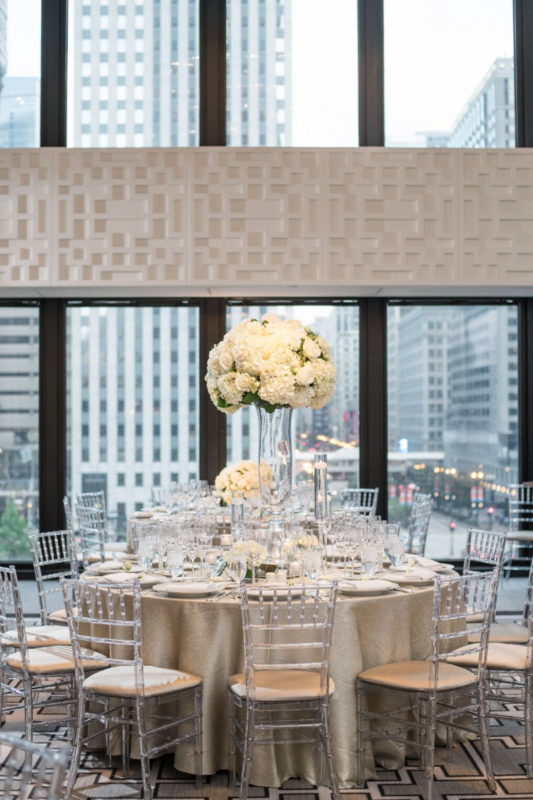 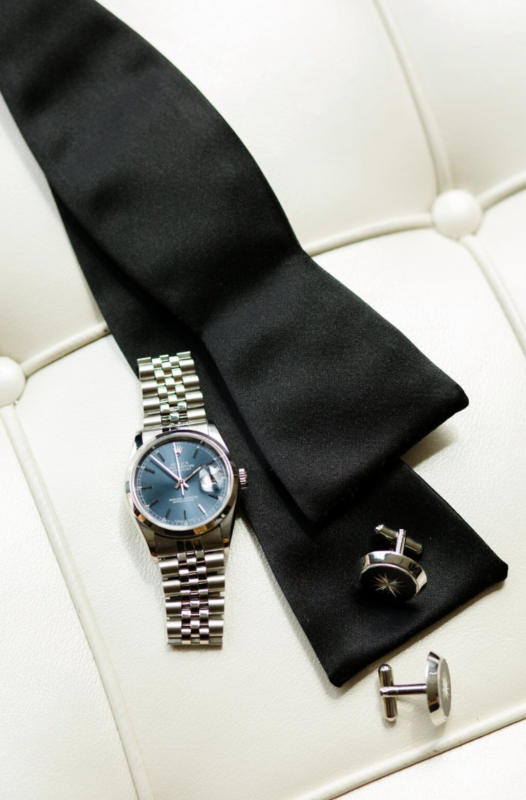 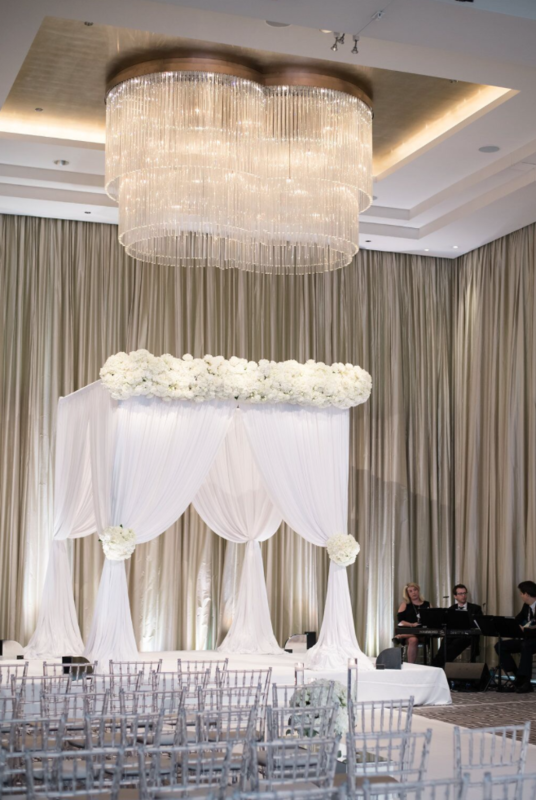 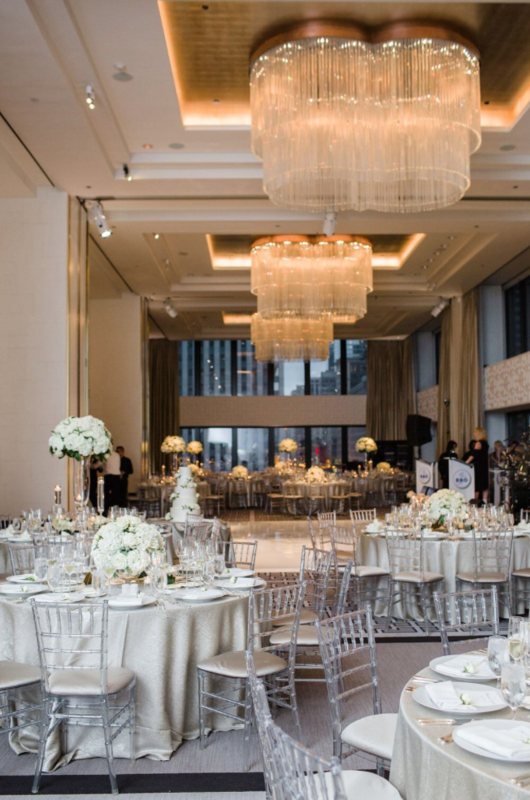 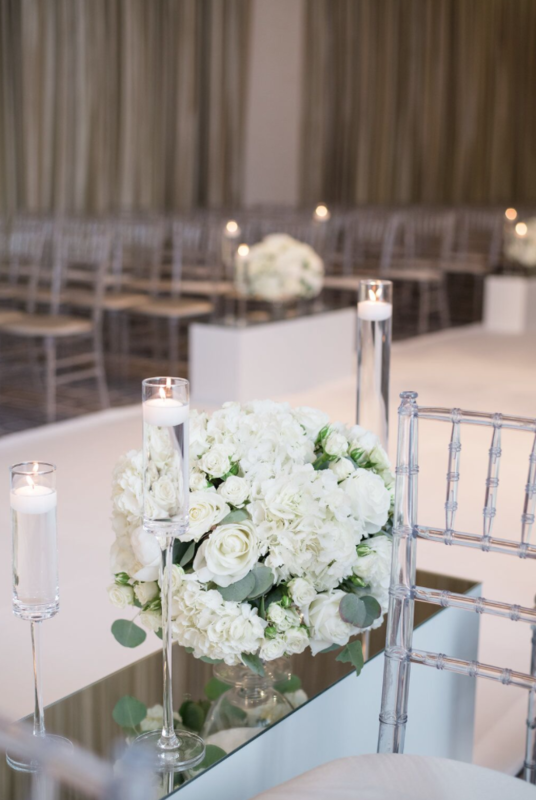 The Langham Hotel the perfect classic, elegant and timeless backdrop for this Chicago wedding celebrating Alexandra and John. 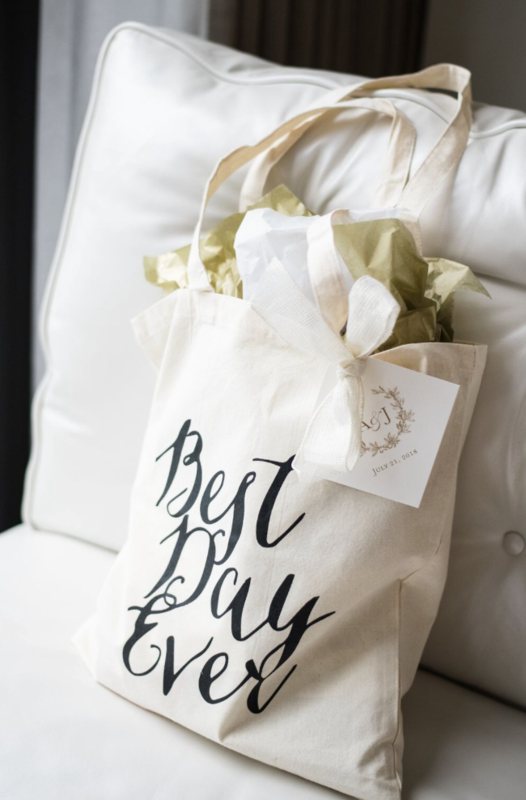 No detail went unattended from the moment guests arrived at the hotel for check in and were greeted with custom amenity tote bags filled with all the bride and groom’s favorite goodies like Seraphina champagne gummy bears, Garrett Chicago Mix Popcorn (it’s the perfect mix of sweet and salty, right?! 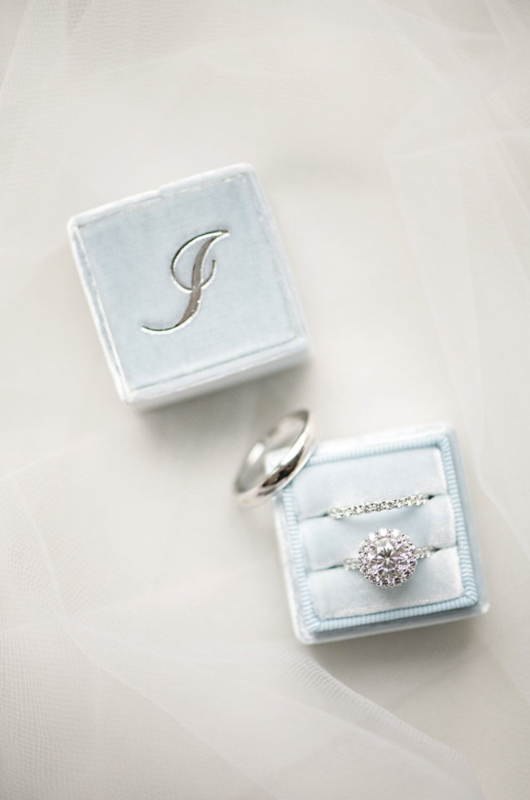 ), custom monogram cookies from Sugar Fixe Chicago and monogrammed water bottles. 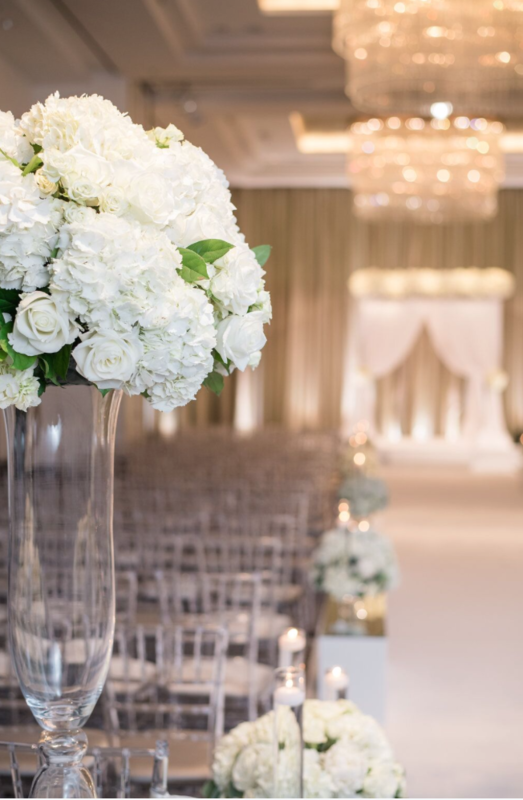 The ceremony was perfection in all white. 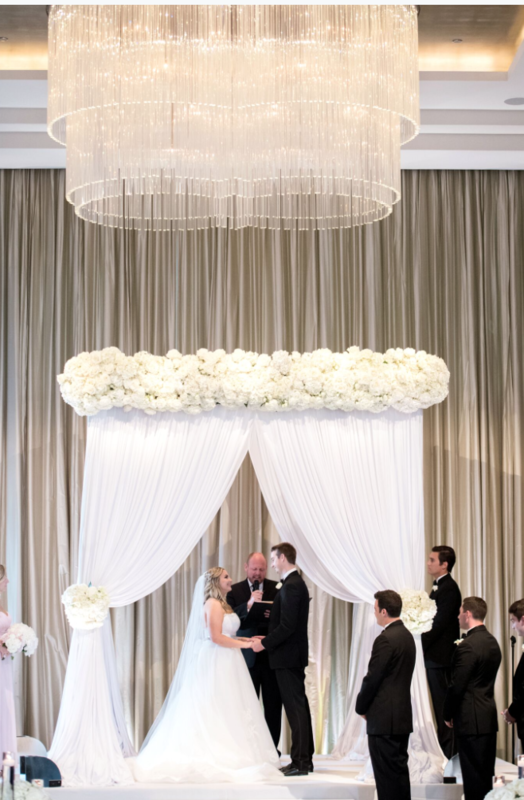 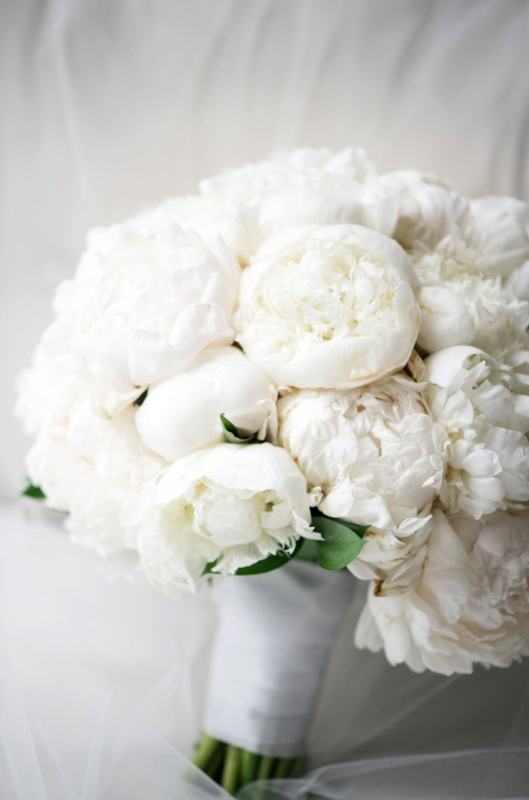 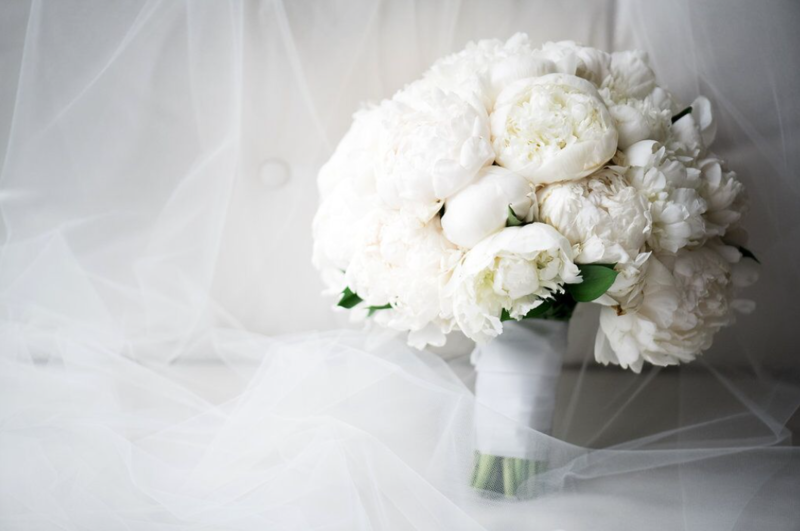 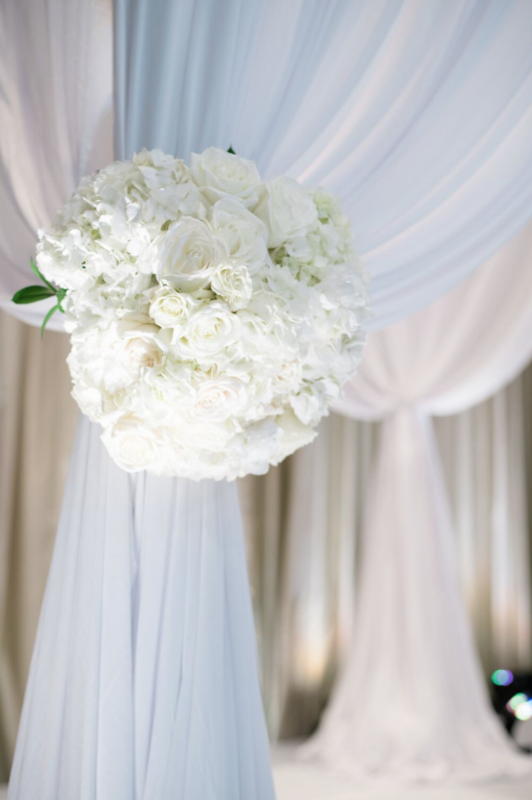 A gorgeous classic white wedding canopy adorned with clean accents of white roses, white peonies and white hydrangea, a clean white aisle runner leading up the long aisle, and the crystal chiavari chairs glittered on the aisles along with hundreds of candles… It was something out of a fairytale. 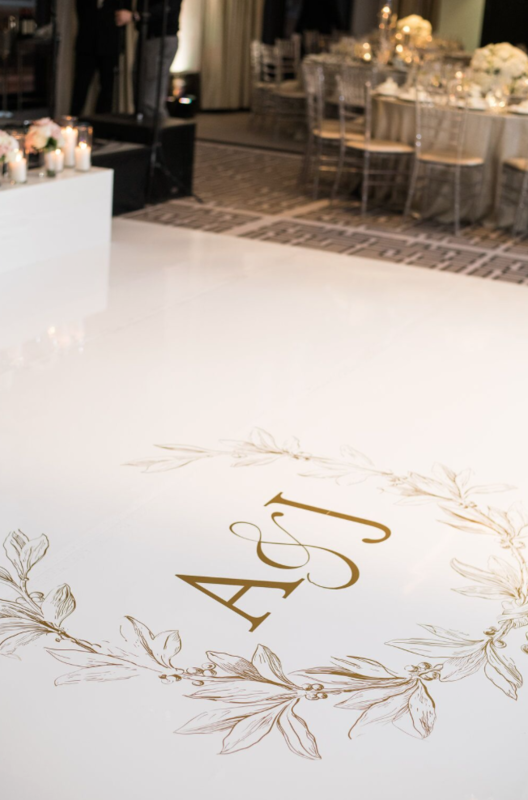 Entering the formal ballroom for their black tie wedding reception, guests were welcomed with soaring globes of white wedding floral and a classic monogram framing the dance floor for an amazing party. 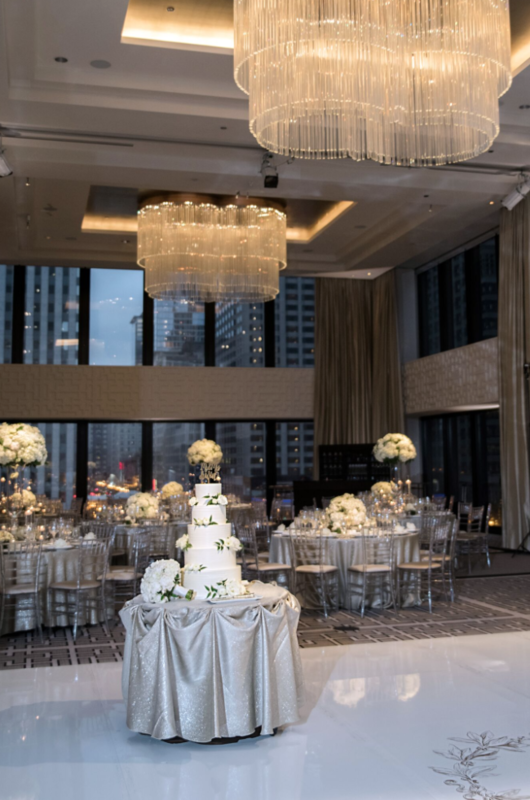 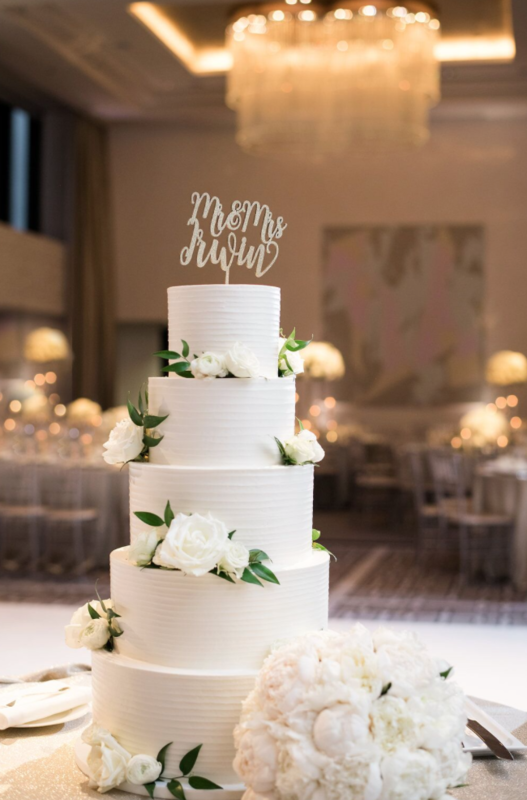 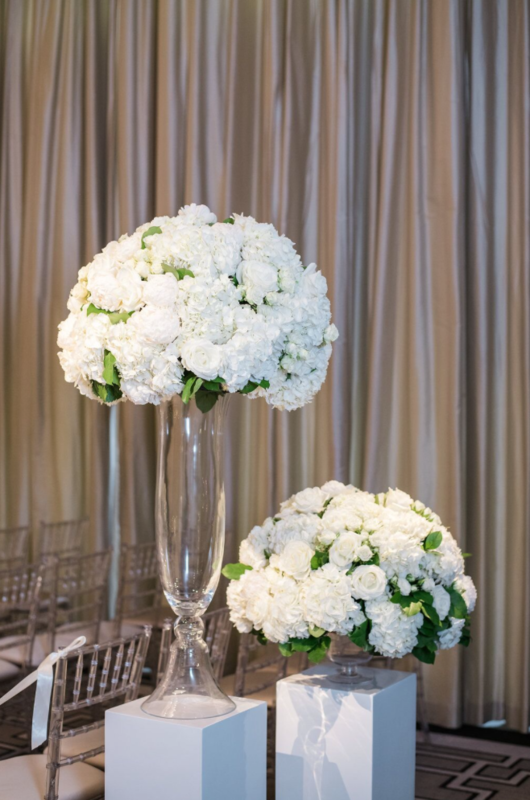 Each napkin hosted a giant white rose so guests could enjoy their fragrance before the meal, and the perfect 4 tier white wedding cake by Sugar Fixe Chicago complimented the design of the room with its classic elegance. 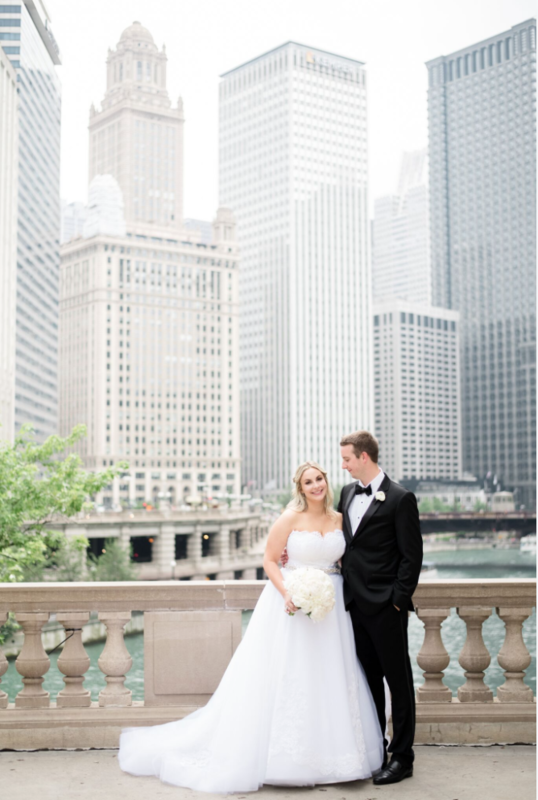 The Becca Kauffman Orchestra rocked the formal wedding reception and kept the dance floor full all night -Alex even changed into a dancing dress and sneakers so she could live it up on the dance floor (check her out in the extra cute evening shots of Alex and John outside the hotel late night!)! 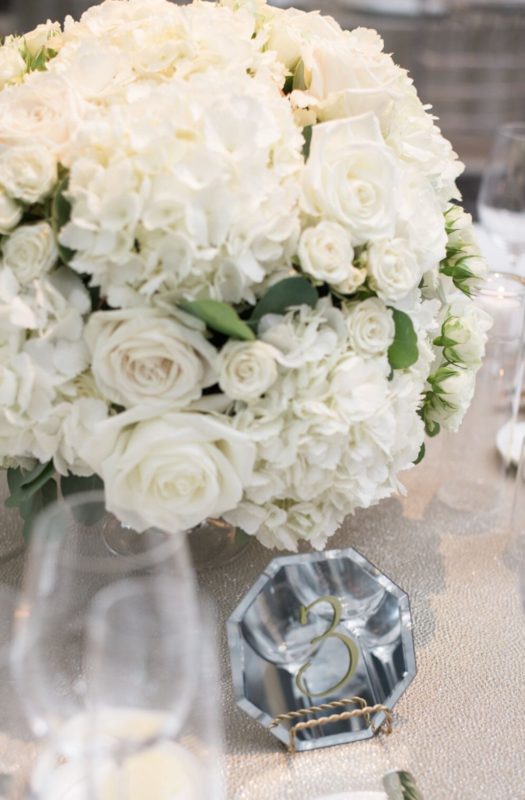 Guests were invited to have “sweet dreams” with some insanely awesome frosted rice krispie treats from Sweet Mandy B’s as they departed at the end of the evening (I’m still on the sugar high).